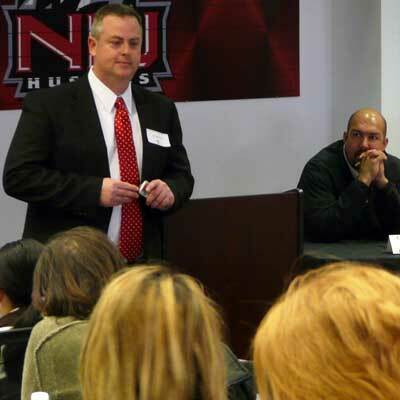 Bradley Bond, dean of the NIU Graduate School, speaks with students. The Office of Student Engagement and Experiential Learning (OSEEL) is gearing up to host its fall semester events: Graduate School Preparation Seminar and GRE Basics Workshop. The Graduate School Preparation Seminar (GSPS) will be held Saturday, Oct. 5, at the Yordon Center and costs $5, which covers lunch with the price. GSPS provides information about finding the right graduate school, walks students through the application process, informs students why the Graduate Record Examination (GRE) is important, helps them create their personal profiles and shows them how tapping into campus resources can be beneficial to the application process. In addition, representatives from various graduate programs at NIU will be in attendance to speak with prospective students. Registration is available online. GSPS also concludes with a drawing of graduate school themed giveaways, including a Grand Prize GRE Fee Waiver (valued at $160) donated by the University Honors Program. 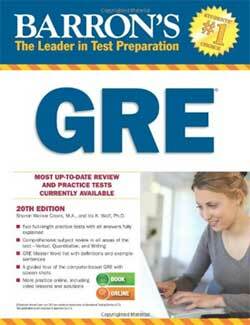 Additionally, OSEEL is providing a free waiver for the GRE Basics Workshop. Other sponsors include the Graduate School, Intercollegiate Athletics, the Graduate Student Research Association and the University Bookstore. The GRE Basics Workshop aims to provide basic GRE knowledge to students. Each of the eight sessions will focus on a basic review of the different portions of the GRE including verbal and quantitative reasoning, as well as analytical writing. A $20 dollar registration fee which covers the cost of eight sessions and a Barron’s GRE Test Prep Book, must be submitted to by cash or check to OSEEL (Evans Field House Room 110) on or before the day of the event. Registration is available online. In addition to GSPS and the GRE Basics Workshop, students are highly encouraged to register for the GRE Test Review offered by the College of Liberal Arts and Sciences-External Programming. These test preparation workshops help undergraduate or returning adult students to move to their next level of higher education. Four annual review courses for the GRE, LSAT and GMAT are offered. Classes are held on the DeKalb campus. These workshops go in-depth on all portions of the GRE: Verbal Reasoning, Analytical Writing, and Mathematical Skills. Students are strongly encouraged to register and attend.